The Tiago has been able to achieve this incredible milestone within three years of its launch in India. Tata's popular hatchback Tiago has been, without doubt, a much-loved car among Indian buyers. In order to prove this point, Tata Motors has announced that the Tiago (all variants combined) has successfully achieved the two lakh sales mark, before completing three years of production. The Tiago was first launched here in April 2016 and was Tata's first model to be based on the brand's IMPACT design philosophy. 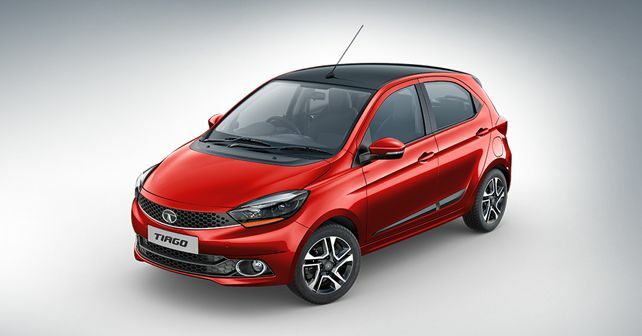 To keep the Tiago line-up fresh and upbeat among car buyers, Tata, over the past two years, has introduced numerous versions, variants and special editions of the hatchback. 2017 witnessed the introduction of two AMT variants – the XZA and the XTA along with the launch of a special festive edition, the Tiago Wizz. In 2018, Tata went a step further to take the Tiago into the urban offroader segment by introducing the Tiago NRG. In October 2018, the Tiago and Tigor JTP performance models were added to the line-up, the company's first-ever performance-oriented models built in collaboration with Jayem Automotive. Lastly, Tata ended 2018 with a final hurrah which came in the form of the Tiago XZ+, a new top-end variant in the line-up with numerous segment-first features.